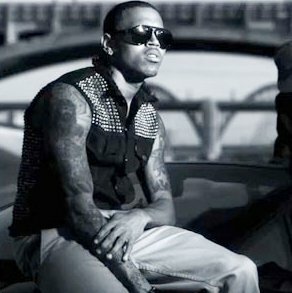 Filed under: Hip Hop, Poll, Pop Music, R&B | Tags: Andre 3000, Chris Brown, Drake, Fabolous, Kanye West, Kim Morrell, T.I. Here’s a huge “Deuces” remix. By huge I mean huge names on the track, not literally fat. I love Drake’s verse on it and how it’s a big change-up from the original. This is the third version of “Deuces” I’ve heard, so the time has come to vote – who did it best? Chris Brown‘s original, Kim Morrell‘s female anthem, or all these big boys with their big boy toys? Tell me, I really want to know. P.S. – Holy sheeet, this new “Deuces” remix pulled in over 1 million views in FOUR. DAYS. WTF. P.P.S. – Check out the new Jillboard Twitter layout by clicking belowww. Whatcha think? Who’s your favorite Female Breakout Artist on Jillboard? Here’s the second Jillboard poll, should be fairly obvious – Favorite Female Breakout Artist on Jillboard. Vote your little heads off. If you don’t know one of the artists/nominees, check out links to their music below. Who’s your favorite Male Breakout Artist on Jillboard? As the official Jill of Jillboard, I am instituting Jillboard Polls. The first poll is Favorite Male Breakout Artist on Jillboard. Unlike America, you can be any age to vote here. Go ahead under-18-year-olds, you know you want to. If you don’t know one of the artists/nominees, check out links to their music below.